Designed for military operations in Afghanistan, the Belleville C333 Sabre Hot Weather Coyote Brown Hybrid Assault Boot was designed based on feedback from soldiers. 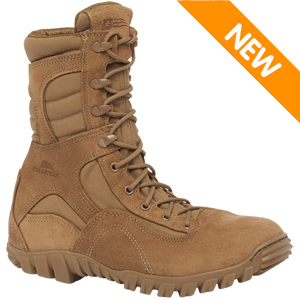 This boot features a lightweight design with aggressive treads for navigating through the mountains of Afghanistan. Hot weather construction leaves this boot without a liner for maximum cooling. This boot was constructed with an athletic feel in mind for top performance and is ideal for agile tasks with its low profile. The C333 Sabre features a lightweight upper constructed from 100% pure suede leather and ballistic nylon. 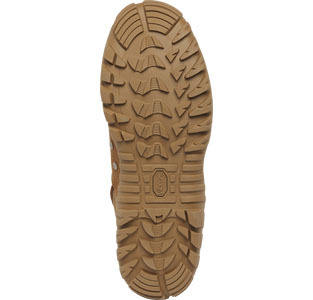 A polyurethane midsole provides ample cushioning from heel and toe shock. This boot features a Vibram "Ibex" outsole that features an aggressive lug pattern for all around traction, especially on loose terrain. The Belleville C333 Sabre is battle proven and this Belleville boot still remains one of the top sellers today. 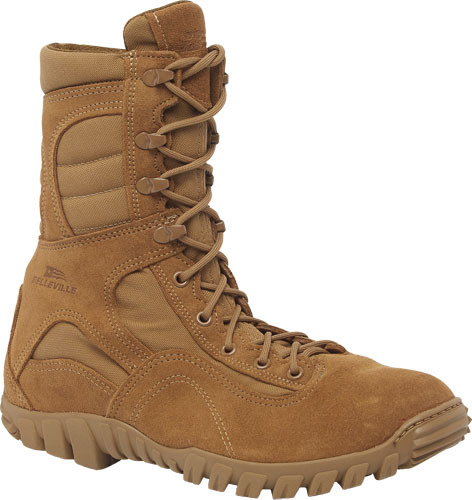 This boot is AR 670-1 Compliant for wear with the Army Combat Uniform (ACU) OCP and is Berry Compliant.